Conventional wisdom says you can get to know your target audience by studying demographics such as age, ethnicity, and education. A few marketers go beyond that by taking psychographics criteria into consideration, such as attitudes, values, and desires into account. But this is still misleading: if you want to define strategies to engage your customers, you need to truly understand their buying decisions. My name is Adele Revella, and I’m the CEO of the Buyer Persona Institute and author of Buyer Personas (a Fortune Magazine top 5 business book). In this article, I’m going to show you how to combine demographics and psychographics with a special focus on understanding why people buy, how they buy, and how to use these insights to make an impact with your marketing. Psychographics is the study of consumers based on psychological characteristics, such as values, desires, goals, interests, and lifestyle choices. A buyer persona is a profile of a typical customer based on real data. Many believe you can get a full understanding of your customers by studying demographics (e.g., age, race, job title) alone; others suggest that you also must add the most common psychographics characteristics (e.g. personality, values, attitudes, and lifestyles) to the mix for additional clarity. Neither solution, however, helps you understand why someone decides to buy. Example: a standard buyer persona might introduce you to 'Madison, a 35-year-old project manager who loves cats and yoga.' But what does this actually mean for your business? Does her love of cats or approach to exercise help you influence her choice to try out your project management software? The only way to build a complete buyer persona is to combine relevant demographic and psychographic information with an understanding of what makes your target customers buy. Unlike demographic data, which identifies broad categories of potential customers, psychographic data tells you about these people’s attitudes and beliefs. Personality describes the collection of traits that someone consistently exhibits over time, as commonly assessed through a 5-Factor Model. Example: one personality trait that is part of the 5-Factor Model is extroversion, which measures the extent to which someone gains energy by spending time with others. If a company that sells fishing gear online discovered their average customers are men who score low in extroversion (meaning they’re mostly introverted), they might want to include images of men fishing alone, enjoying peace and solitude, on their promotional materials. Lifestyle is the collection of someone’s day-to-day activities: their associations, where they live, where they spend their time, etc. Example: if a company that owns a meditation app finds that many of their users are single individuals who like to spend their weekends partying, the marketing team might create advertising campaigns that speak to the need to disconnect from the hectic pace of urban life—as opposed to, say, the demands of parenthood. Interests include hobbies, pastimes, media consumption habits, and what occupies someone’s time. Example: an online poker website may discover that a substantial proportion of its users also enjoy watching football. This might prompt the company to use sporting analogies in their ad campaigns (e.g., referring to a big tournament as the ‘World Cup’ of online poker). Opinions, attitudes, and beliefs are distinct psychographic categories, but I’ve grouped them together because they tend to be strongly correlated. It’s not a black-and-white science, but in general religious beliefs (or lack thereof) can often predict political opinions and general worldview, and vice versa. Example: if a women’s clothing retailer discovered that much of their target market consists of deeply religious women from the Southern U.S., they might consider displaying modest, old-fashioned dresses in their Facebook ads. Someone’s values describe their sense of right and wrong. Example: if a food delivery service finds that their customers care deeply about the environment, they might benefit from delivering meals in biodegradable containers. For marketers of consumer products as shown in these examples, these five elements might help you understand your target market. But these could just as easily lead you astray if they are inconsistent attributes for your buyers, or irrelevant to the products and services you are marketing. The following five characteristics are what we at the Buyer Persona Institute call the 5 Rings of Buying Insight, which speak to the characteristics that influence buying decisions for specific products or services. Priority initiatives explain why some buyers are willing to invest in a solution like yours and what separates them from those who are fine with the status quo. Priority initiatives aren’t just pain points that your features are designed to reverse. You want to understand the precise circumstances that lead people to pursue a solution like yours. Example: what makes a project manager seek out new software to organize their team? How do their current solutions fall short and what would inspire them to implement a new system, even though it might result in unhappy employees and critical managers who resist change? Success factors are similar to benefits, but they are more specific and defined. What results do they expect to achieve by purchasing your solution? Example: if a young urbanite wants to buy a new computer, you might assume that speed and computing power matters… but what if that isn’t very important to them? What if the prestige that comes with owning a MacBook Pro, and the feeling its sleek design gives them, matters more than tech specs in the end? What could make a potential customer worry that they’re making the wrong choice? When interviewing people who recently evaluated a solution like yours, expect to discover plenty of misconceptions—including issues you’ve already solved and some that never existed in the first place. The resistance may come from buyers themselves, but it could also come from peers, friends, family, or colleagues. Example: does a mobile phone carrier have a reputation for dropped calls in a major city, despite the fact that they have a better-than-average record? If a sales manager wants to purchase a cell phone service for their entire sales team, their supervisors or employees might plant seeds of doubt based on a popular misconception. Which features of competing companies, products, or services do your customers consider essential in order to make a purchase? What are their expectations for each feature? What makes them leave a website, and what would make them stay? This insight will shape your marketing message, and it usually has nothing to do with what’s new or what makes your product truly unique. Example: when looking for scheduling software to book appointments, does a busy sales professional care how much it costs if the company is willing to pay for it? They may be more concerned with a particular aspect of ease of use (for both themselves and anyone who books a meeting with them). This is where you aggregate everything you learn about the steps your buyers take, the resources they trust, and the influencers involved, from beginning to the end. What did they do first when they decided to shop for a new watch? How did they hear about the different brands they’re considering? Who/what resources influenced their decision? How can you gather psychographics used to build complete buyer personas? At the Buyer Persona Institute, we use an interview method that gets customers to open up and share their pains, frustrations, and goals in detail (see below). However, before I dive into that, here’s a brief description of the old-school methods that advertisers have been using for more than half a century. A focus group brings together a carefully selected, demographically diverse set of potential clients for a guided discussion about a product or service. Focus groups are great when you want to expose your product or campaign to a target group of customers and see/hear their reactions. The group dynamic is ideal for this purpose, but terrible for capturing individual stories and experiences (also, you need a strong facilitator to avoid the discussion being led astray by strong personalities within the group). Many people within your company will have information about your target customers, but their opinions are shaped by their own biases and interactions. For example, we know that buyers withhold critical information from salespeople and relate price as a critical aspect of their decision as a negotiation tactic. Surveys are a great way to gain confidence in the results of your interviews and get deeper insight into what is most or least important to buyers. Plus, you can segment findings based on any demographic elements, because you get a broader group of people to respond. Just use caution as you create a survey, because you could end up merely reinforcing your existing perceptions and biases. It’s best to do the interviews first (see below) to discover the psychographics of the buying decision, and then use the survey to test your insights and learn how different markets or audiences think about the decision itself. Big brands can benefit from gathering a massive amount of psychographic data, which is what Coca Cola did to develop their “Share a Coke” campaign. However, most of us don’t have a $4 billion dollar advertising budget! Fortunately, there’s another (less expensive, but very effective) way to go deep. At the Buyer Persona Institute, we use an (almost) entirely unscripted interview to get to the truth about our client’s buyer personas. In fact, we only ask one scripted question. What’s the one question you need to ask? Don’t blindly accept the response to this question. The best journalists don’t settle for the first answer they hear, because it rarely gets to the core of the issue. You should take the same approach. Ask the buyer to clarify, elaborate, and dive deeper as they walk you through every step of their buying journey. You might spend five or ten minutes learning about their motivations for this investment, then you’ll ask them to talk about what they did first to learn about the companies they wanted to consider. Next, you will ask the buyer to talk about how they began to narrow their options, who was involved, and what they learned about the solutions they continued to evaluate. The golden nuggets of your persona will be revealed from these real buyers speaking at length about why they selected one company over another, and how their buying experience with each of those companies guided their choice. When you let the buyer take the lead in the interview, probe on their decisions at each stage in their journey: you’ll understand the psychographic characteristics that influence buying behavior (to learn more about how to do these interviews, there’s an online course available at www.buyerpersona.com/masterclass). Once you’ve completed your interviews, it’s time you use that information to win more business. Here’s how that’s done. Organize workshops and go through all your insights with your SMEs who really understand your product (especially product managers and salespeople). Across those five rings of insight, you might have a total of 30 or 40 insights into what your buyers want from their buying experience. Isolate each insight and support each one with verbatim quotes that capture an emotion. You’ll come up with many insights, but you can’t address them all, so focus on that sweet spot where your product meets what your customers want. Of course, this means you’ll have to stop pushing some of your favorite features and benefits. Do you love the fact that your product comes in different colors? If your ideal customers don’t care, you’ve got to drop that selling point and focus on the messaging that works. As a career business-to-business (B2B) marketer, one thing I’ve noticed is that companies struggle to align their sales and marketing messages. If you look at what sales is trained to do, the messaging in the product demos hardly ever matches up with the marketing message. After you’ve done the research, however, you’ll know chapter and verse what your customers want (and you’ll have direct quotes to back your conclusions up). Then you’ve got to get marketing and sales on the same page. Optimize your website: perfect the buying experience to deliver exactly what your ideal customers want. Update your product roadmap to address buying needs: product usage criteria and product buying criteria are two different things. Product managers focus on making products that customers love once they start using them, but they also need to consider what features will make someone buy the product in the first place. After all, if customers don’t buy a product, they’ll never get a chance to experience it. Refine your messaging: make sure your messaging (on your website, in marketing communications, and in sales talking points) pulls those psychological levers that make people buy. Use what works and discard what doesn’t. Here’s an example of a real organization we helped with this technique. We used this method to bust assumptions and help them better serve a key customer segment. The product: our client creates software that automatically calculates sales tax for e-commerce businesses. Companies doing business in the United States are sometimes required to collect sales tax at the point-of-sale, and different states have different tax rates. The assumption: like most companies, our client segmented their customers based on organizational size (i.e. a demographic criterion), and the marketing team crafted the messaging accordingly. What they learned through interviews: that they needed to segment based on entirely different criteria! What’s the difference? Small companies knew they could be doing it wrong, and if they messed up, they might end up in jail (i.e. a psychographic criterion). Pretty valuable insight, wouldn’t you say? With this psychographic data, they were able to adjust their website, product, and messaging to address that concern, and they increased sales based on this segment. Creating fully fleshed-out buyer personas can take your messaging and your sales to the next level. Download a buyer persona example based on the 5 Rings of Insight and begin working on your buyer personas today. Have you worked with psychographic research in the past? Leave a comment and let us know what you learned and how it impacted your business. 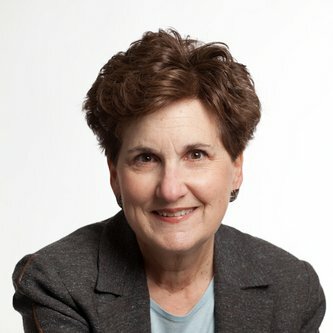 Adele is the CEO of the Buyer Persona Institute and author of Buyer Personas (a Fortune Magazine top 5 business book).